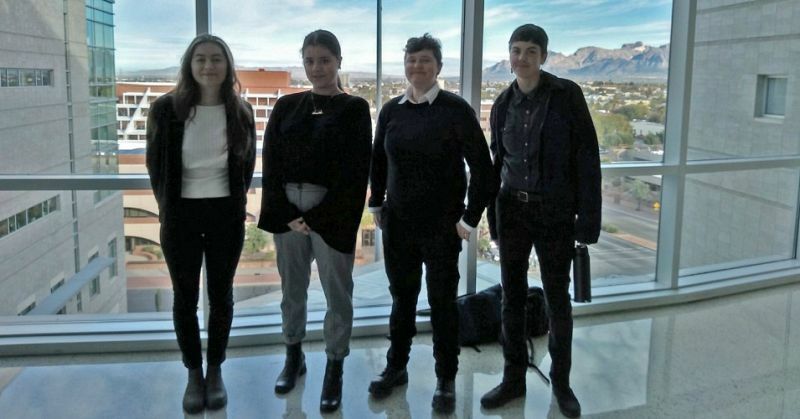 Four women were found guilty of misdemeanours and are facing possible prison time for leaving jugs of water and canned food in the Arizona desert for migrants braving the scorching triple-digit temperatures during the summer of 2017. "If giving water to someone dying of thirst is illegal, what humanity is left in the law of this country?" The volunteers – who face up to six months behind bars and a fine of up to $500 – and other critics of the Velasco's decision argued that the women were simply trying to save lives. "This verdict challenges not only No More Deaths volunteers but people of conscience throughout the country," declared Catherine Gaffney, another of the group's volunteers. "If giving water to someone dying of thirst is illegal, what humanity is left in the law of this country?" Professor Katherine Franke, faculty director of the Public Rights/Private Conscience Project at the Columbia Law School, challenged the outcome on legal grounds. Prosecutors argued that the ten rescue beacons that the Border Patrol installed inside the refuge was the "preferred way to save lives," rather than dropping off water jugs which gave "false hope" to migrants, Assistant U.S. Attorney Nathaniel Walters said. Defense attorneys responded that access to the beacons was key and that migrants who were dehydrated might not be able to get to them. What was not discussed during the trial were the accusations from No More Deaths that Border Patrol agents "systematically" destroy or empty water bottles they leave behind for migrants in the desert. It's important to keep in mind here that the sort of targeting of humanitarian aid on the border is part of a larger crackdown that the Trump Administration has been orchestrating on the border. It extends to family separation. It extends to the sort of clogging of ports of entry for asylum seekers. So, you know, in these trials, there's a ton at stake. While these four women will be sentenced as early as next month, five more volunteers also face misdemeanour charges for work in the refuge, with trials slated to begin in late February and early March. According to No More Deaths, one of them, Dr Scott Warren, "is also charged with felony harbouring and conspiracy related to humanitarian aid work". That trial is set to begin in late May. This article by Jessica Corbett was originally published on Common Dreams under the title, '"Literally What Jesus Told People to Do": In Arizona, Possible Prison Time for Leaving Food and Water for Migrants' and has been republished under a Creative Commons licence.